We’ve been perfecting our Original Celt Boot for 25 years. Made in Cornwall, using the finest British sheepskin, these classic boots are handcrafted and made to last. They are expertly finished, with durable double stitching, contrast leather heel protectors and hardwearing soles. 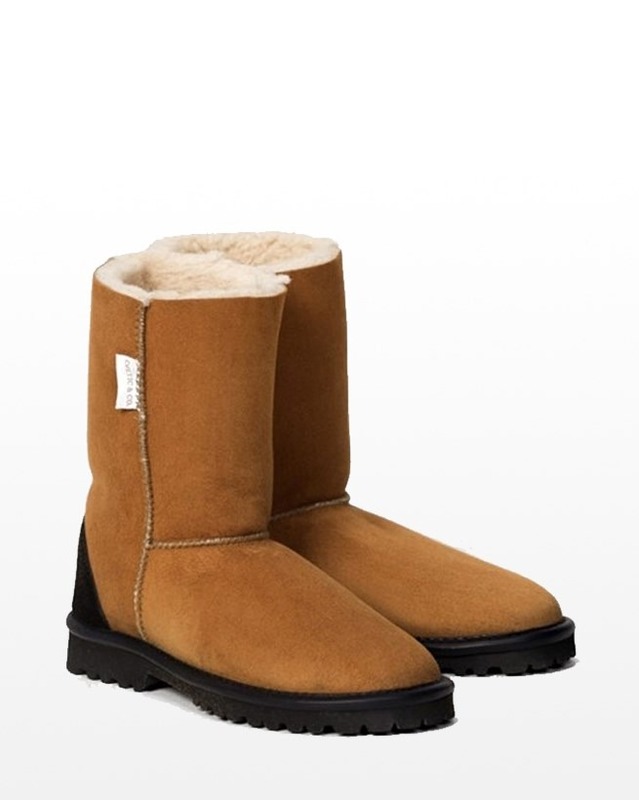 Ordered boots for my husband as suffering from cold feet. Boots arrived swiftly and are perfect in fit and appearance. He hasn't had them off since. Boots arrived in time for Christmas. Great quality, great fit. Being worn most of the time both in and out of doors!! Superb product sadly let down by lack of sizing information online! The availability of your socks makes matters worse because the selection of the boots in one’s size makes a snug fit into an impossible fit wearing thick socks! I've had my Celtic boots for some 5 years now and they are as good as the day I bought them, brilliant beautifully warm, I can't imagine being without them thank you.